Jerusalem’s Old City is very popular among tourists and locals in Jerusalem and that’s due to the wide range of historic, cultural and holly sites that are scattered all around the city. The range of sites is so wide that in order to visit all the sites you’ll need more than a day and even more than two days. Yet because of the fact that the Old City is small, it’s easy to go through the sites and to see quite a few sites in one day. It’s recommended to start the trip in Jaffa Gate which is close to the famous Mamilla Promenade and right from the moment you enter the Old City you will be impressed by the Old City’s Walls that spread so impressively in front of your eyes. 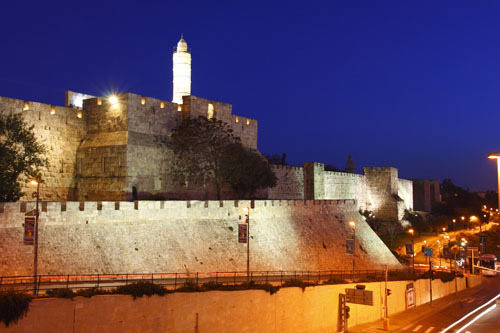 The City Walls were originally built about 4000 years ago by the Canaanites. Since then they have been destroyed and the City Walls that you see today were built about 500 years ago by Soliman, the leader of the Ottoman Empire. When you enter the Old City, on your right you’ll see two graves; according to the legend there are considered to be the graves of the walls’ engineers that were executed by Soliman- the leader of the Empire. One theory has it that the two were executed because they didn’t include Mount Zion in the city walls and that’s why Soliman, the leader of the Empire, had them killed. The second theory claims that they were executed in order to make sure that they couldn’t pass the walls’ secrets to the Empire’s enemies. You decide for your self which theory you believe. From there you can continue towards the Armenian Patriarchate Street. On the right you can see the fortress known as the Tower of David . Inside the Tower of David is a most impressive museum and if you have the time it’s really recommended to go and visit there (there is an entry charge). From there continue towards The Christian Quarter where you can find the Holy Sepulcher . It is considered the holiest church in the world due to the fact that Jesus is buried in that church and you can even pray on his grave. 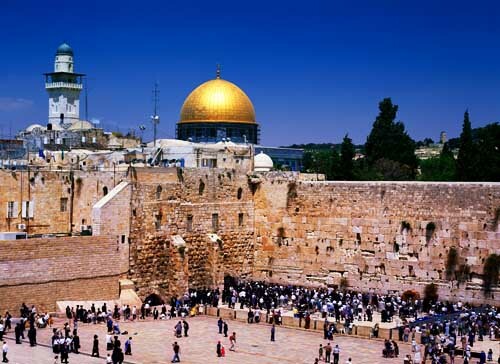 After visiting there, we’ll continue towards the Western Wall , not before we go through the Old City’s market which is considered one of the nicest and lighthearted attractions in the city. In the market you can buy many souvenirs and authentic presents for your friends. After you’ve bought great stuff and bargained over the prices (part of the fun while shopping in the city’s market is arguing with the tradesmen. A little secret- you’ll always succeed in lowering the prices :), you can continue to one of the most important and considered places in the Old City and of course we are talking about the Western Wall, the biggest remains from the Temple. The Western Wall is actually a very high and impressive brick wall which has survived the thousands of years since the Temple was built. In the Western Wall you’ll witness an unclear phenomenon of putting notes between the wall’s stones. Tradition says that putting a note, with your wishes written on it, inside the wall’s stones will make all your wishes come true. So all that’s left to do is believe it will happen. Amen! After a tiring day of walking around the Old City we believe that hunger will strike you, so we highly recommend stopping in one of the restaurants located in the Old City. We personally recommend a visit to Lina’s Hummus which is considered by many to be the best hummus. Enjoy. 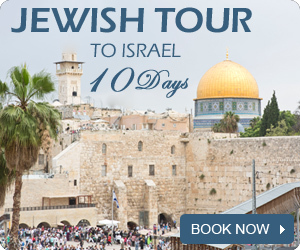 Explore the holiest city in the world with our leading Israeli tour guides. Explore the lowest place on earth - The Dead Sea. Visit the most important sites to the Christian religion. Wonderful tour to Tel Aviv and the Old City of Jaffa. Explore Petra - the Wonder of the World!